If one of our Applications is not yet translated or only partially translated into your own language, and if you're interested in translating it accurately into your language, please contact us and follow the instructions here below. As obviously we don't know all languages on Earth, we need other people, like you, to help us to translate our Applications accurately into their own language. This will allow you and everyone to have our Applications available in your native language instead of having them only in English. And moreover we will offer you a free registration code for each Application that you help us to translate. If you want to help us to translate an Application into your own language, just tell us by email which Application you are interested in translating and in which language. Then we will send you by email one file containing a few sentences to translate. This file will contain the English sentences and you will just have to translate them into your own language with the help of an application called "Lingua". You can download Lingua 1.1 here right now. 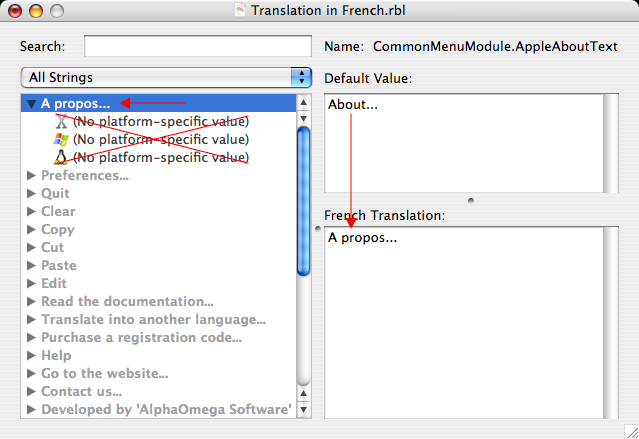 It's very simple to translate one of our Application from English into your language. If some sentences are already translated, please check that the translation is correct or correct it if necessary. Indeed, sometimes some translations already exists, but the wording has changed from a previous translation. So, please, correct it. Then, when you have finished the translation of each sentence and when you have double-checked that it is correct, send us back the translated file by email. We will use it to build a new version of the corresponding Application in your own language and we will recontact you.